Just regular folks. : Popeyes, babysitting, Virginia. Vince had two babysitting gigs this past weekend netting him a total of $90. One required driving and we were in Philly, so he took a Lyft. He doesn't like using Lyft, it makes him nervous - he said that his heart was pounding while he was waiting for the car. We subsidized the Lyft ride, and he might have given me a hug for thanks. 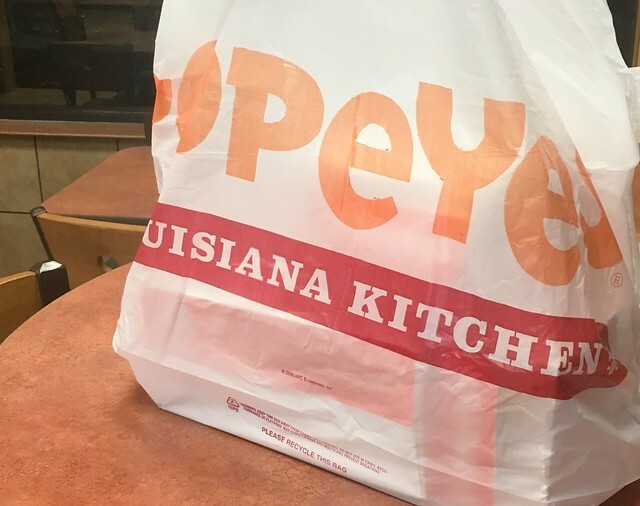 "Love that chicken from Popeye's", I've been to the original one in Metaire, LA. It's goooddd. Ask Vince if he knows you can donate to a charity via LYFT now.